Choose from a few of our different vacation rentals in Lake Tahoe and surrounding Lake Tahoe communities. We currently have housing available for guests in Christmas Valley, Fallen Leaf Lake, Kirkwood, and the Tahoe Keys. 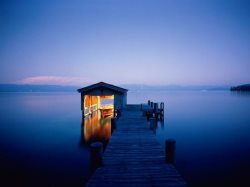 These are luxury Lake Tahoe vacation rentals where you can fall asleep in the mountains and stay close to the water. Housing like this is few and far between, so we make booking vacation rentals on Lake Tahoe simple. No matter the Lake Tahoe communities that you travel to, you will get a little taste of everything here, from the entertainment to the adventures in the wilderness. Start planning your stay at our luxury Lake Tahoe vacation rentals now!